Chris Farlowe moved to Andrew Loog Oldham’s Immediate label and recorded eleven singles, five of which were cover versions of Rolling Stones songs including “Paint It, Black”, “Think”, “Ride On, Baby”, “(I Can’t Get No) Satisfaction”, and “Out of Time”, which reached no. 1 (1966) in the UK Singles Chart. He recorded four more singles, the best known of which is Mike d’Abo’s “Handbags and Gladrags”. and “My Way Of Giving”, a cover of a Small Faces album track written by Steve Marriott and Ronnie Lane. Apart from pursuing his own solo career, he was a member of the Keef Hartley Band. 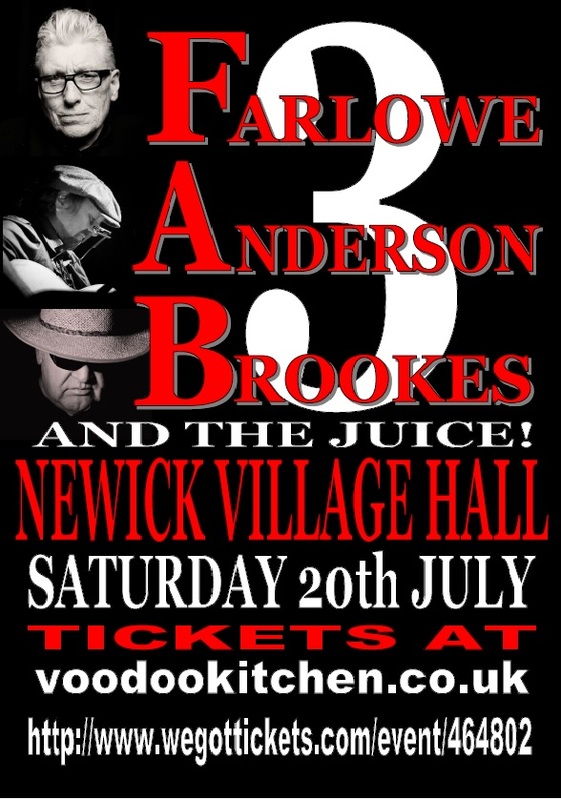 Other groups Anderson has been associated with are; the Spencer Davis Group, Broken Glass, The Dukes, Mountain, Savoy Brown, T.Rex and Chicken Shack. 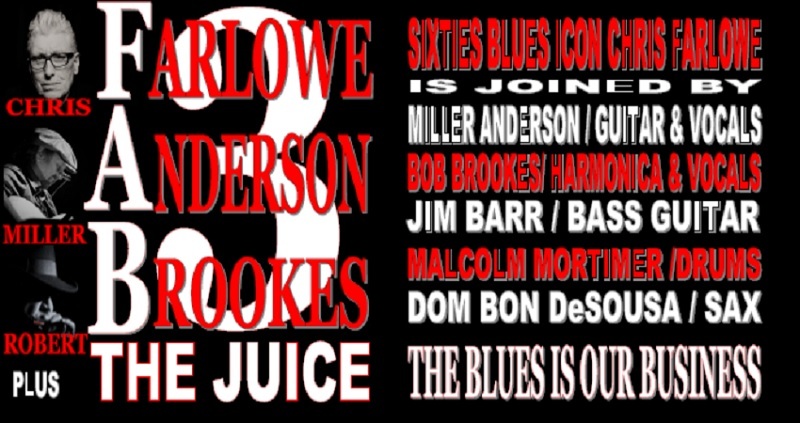 In early 2006, he joined The British Blues Quintet with Maggie Bell, Zoot Money, Colin Hodgkinson and Colin Allen. Currently touring Germany 50th Anniversary of Woodstock!